Tax reform has been a top priority for President Donald J. Trump and Republican leaders in Congress since the start of 2017. Recently, the House of Representatives passed a comprehensive tax bill that includes an eventual repeal of the federal estate tax. While this tax currently affects just a few hundred Florida estates annually, it remains a major target for supporters of the House bill–some of whom stand to personally benefit. The estate tax is a levy imposed on the transfer of assets upon a person’s death. It is paired with the federal gift tax, which applies to transfers made during a person’s lifetime. But the key to the estate tax is that it excludes a large portion of a person’s assets at the outset. For individuals who pass away this year, the exclusion amount is $5.49 million. So if you die with less than $5.49 million–and that will be most of us–your estate will owe no tax. Similarly, if you give away less than $5.49 million during your lifetime, you will owe no gift tax. The Internal Revenue Service recently announced that the estate and gift tax exclusion will rise under existing law to $5.6 million as of January 1, 2018. But under the tax bill adopted by the House, the exclusion would increase to $11 million. And since married couples can double their exclusion, that would raise their effective exemption to $22 million. And these new exclusion levels would only remain in effect until 2024, at which time the House bill repeals the estate tax in its entirety. According to the New York Times, if the $11 million exclusion applied to estates that filed last year, only about 2,200 estates would have owed any tax. This represents less than one-tenth of one percent of all U.S. estates. Altogether, this would represent about $150 billion less revenue for the federal government than under the present estate tax rules. The House proposal still needs to be approved by the Senate. Senate Republican leaders reportedly also favor a higher estate tax exclusion–$10 million–but not necessarily repeal. Would Estate Tax Repeal Benefit Your Family? 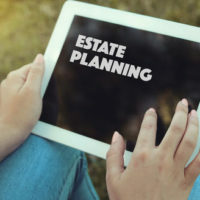 Regardless of the ultimate political fate of the estate tax, it is important for all Florida residents to periodically review their own estate planning to maximize the potential benefits under state and federal tax laws. A qualified Fort Myers estate planning attorney can advise you on the best way to provide for your family after you are gone. Contact the Kuhn Law Firm, P.A., at 239-333-4529 today to schedule a free estate planning consultation with a member of our team.